- Stunning area rug which reflects old Persian design patterns. - Lovingly hand woven by our skilled artisans in an intricate design pattern. 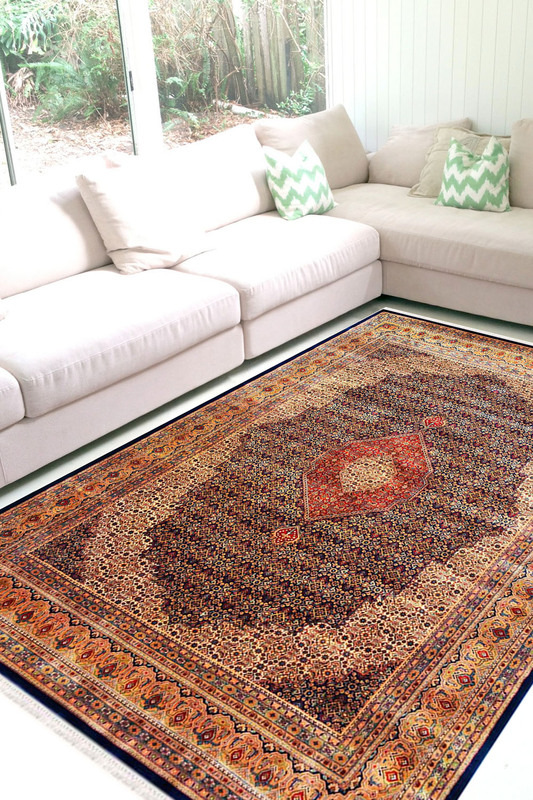 - This rug has an all over Bidjar design pattern and has been woven by our skilled artisans. - The design has been originated from Persia from a province called Bidjar and has an Iranian influence. - There is a center oval pattern with a medallion in the center and tiny motifs and on a royal blue background. - The border is intricately woven with detailed floral pattern and has taken about 8-10 months to weave this gorgeous beauty. - This rug is of superior quality and is double weft. - Rugsandbeyond's recommendation is to use this rug in a space with beige-white interiors.